We want to thank very much the hundreds of people who stopped by our booth at the Charleston Animal Society Chili Cook Off. While people enjoyed our "Blondies", we talked about the need for more humane treatment of carriage animals including addressing heat, load and weight, safety, traffic, peer reviewed scientific studies and more. 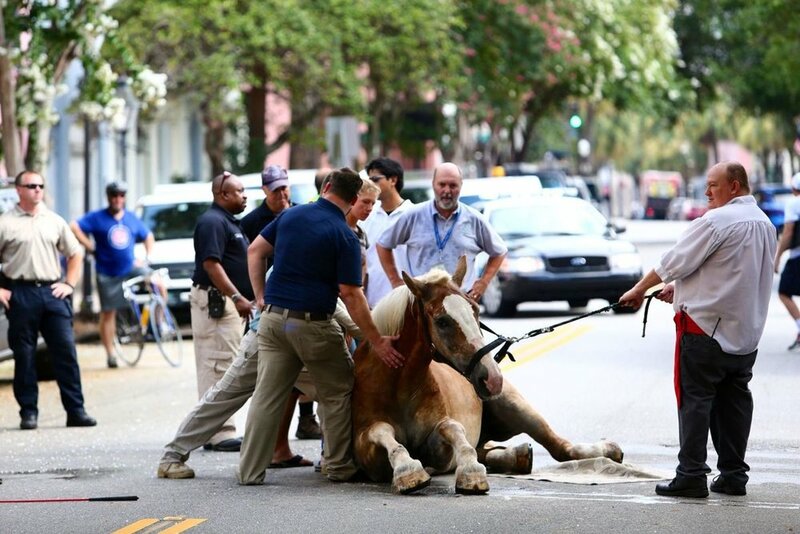 We reminded people of Blondie, the carriage horse who collapsed while pulling a load of passengers on East Bay Street in August 2015. Blondie lay on the hot, steamy pavement for over two hours and was unable to get up. It took workers and heavy equipment to lift Blondie up. There were numerous reports of this incident in the Post and Courier and on the local news broadcasts. 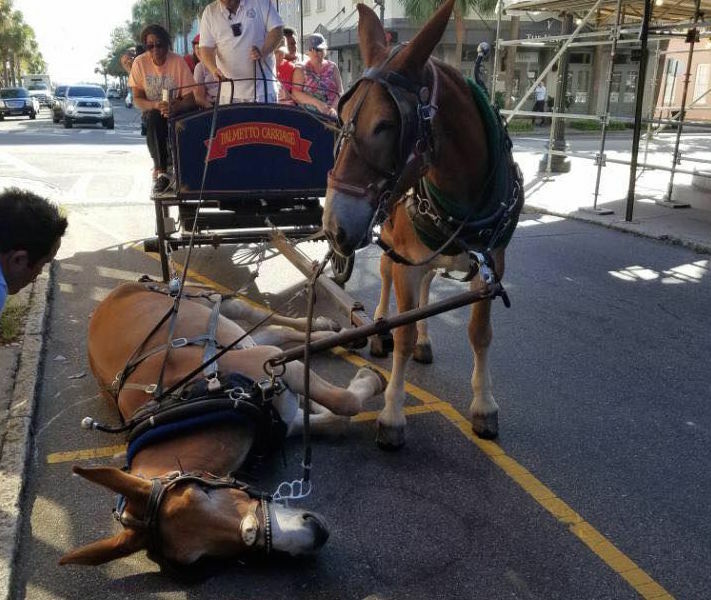 The most recent carriage horse that collapsed on Meeting Street was Big John, who was pulling a load of passengers and that occurred in April 2017. Firemen and carriage company employees had to help get Big John up. A bystander's video was posted to the CCHA Facebook page and to date this video has been viewed by 13 million people around the world and keeps adding more each day. It was picked up by USA Today and numerous national news outlets. Big John collapsed in the streets of Charleston in April 2017.